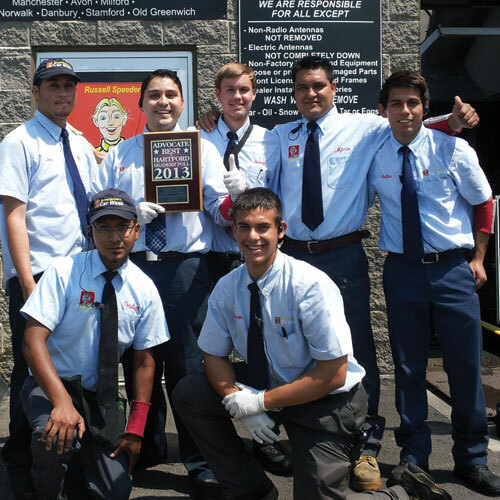 Russell Speeders Car wash is one of the largest car wash chains in the United States. We are family-owned and have been in business for nearly 50 years. We have washed over 22 million vehicles and detailed over 1 million. We have our hearts set on washing & detailing more than 50 million vehicles. Most companies just talk about customer service, we deliver above and beyond customer service every day. Our friendly and experienced staff will draw cartoon characters for your kids on the window, give your kids tattoos and even give your dog a treat! After 47 years of testing car wash soaps and equipment we have designed a process that guarantees the fastest and cleanest car in the market place. 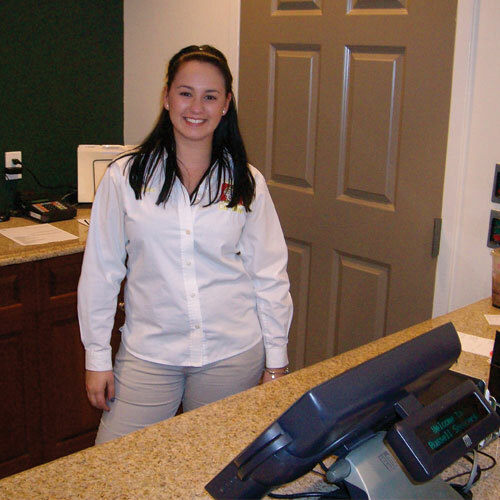 We have the best professionally trained associates anywhere. We go thru a rigorous hiring & training process to ensure that our associates deliver the best customer service.. 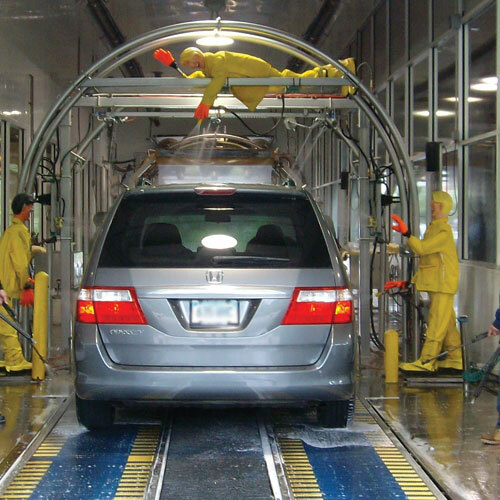 Unlike other car washes, our line moves. At Russell Speeder’s you can always expect fast service. We usually are able to wash your car faster than any other car wash, guaranteed. At Russell Speeder’s car wash we only soft cloth, hi-pressure water, special soaps and our custom 10 fan “no touch” 150 horse power dryer, up to 10 times better than the competition. 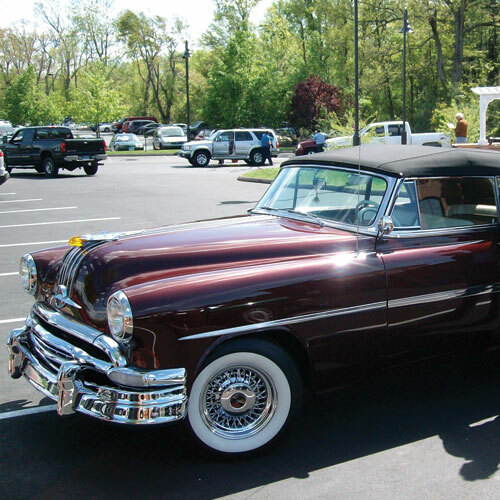 Your car or truck appearance will always be clean, shiny and dry.